I had it on my list that I wanted to do another food post this week and when I popped into the Mode Media offices this week to say hello and they gave me a “Mode Media” wooden spoon it more than a little bit of a sign – so, today I got my bake on! I knew I wanted to make something sweet (if you’re new to my blog, you may not have come across my incredibly sweet tooth yet….) and I also wanted to bake something that was going to be a bit of a challenge – I actually didn’t struggle with this as much as I thought, and it turned out really well! So, Chocolate Raspberry Roulade – the first thing you will notice about this is that it is completely gluten free, and the sponge part also has no fat. I’m a bit of a snob when it comes to food and things that have gluten alternatives or are “fat free” – I’ve always kinda thought the versions with those things in are just better (I’ll admit it if I’m wrong!) – but this really is amazing! 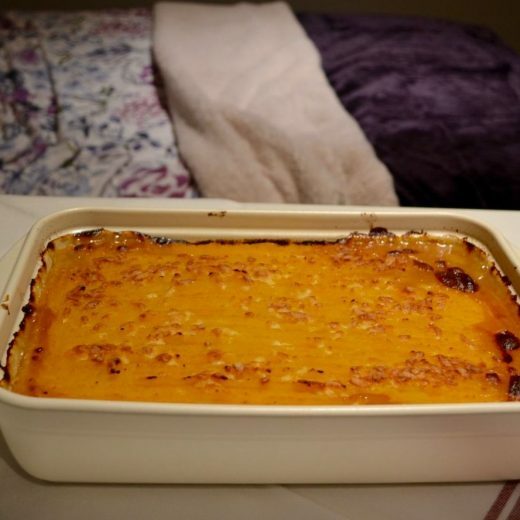 Baking Tray – normal size but a bit deeper if you can find one! 1. Line the Baking Tray with the greaseproof paper and pre-heat the oven to 180 degrees C.
2. Whisk the Egg YOLKS until they start to thicken – don’t over-whisk – and add the caster sugar. Mix well, then add the cocoa powder and mix. Set this bowl aside. 3. In the other bowl, whisk the egg WHITES until they form soft peaks. 4. Gently, FOLD the egg white mix INTO the chocolate mix. (not the other way round!) Don’t over-mix or you’ll squish all the little bubbles! 6. Leave it to cool in the tray. Properly. I’m super impatient so I put on the TV and had a cuppa. It needs to be completely cooled. 7. Pour the double cream into a bowl and add 1tbsp of caster sugar. Whisk until it thickens and becomes firm-ish…. 8. Using a tea towel, a piece of tine foil or whatever else you may be able to find, tip out the sponge so it is upside-down and peel off the greaseproof paper. 9. 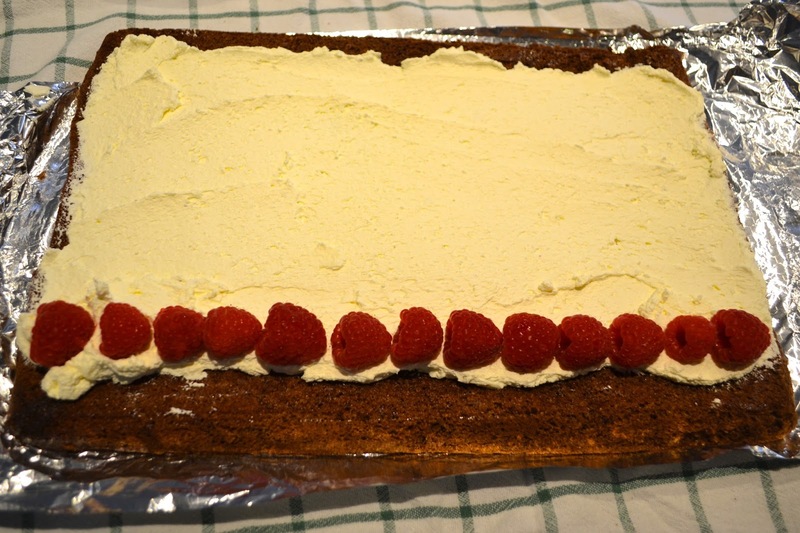 Spread the whipped cream over the sponge, evenly, leaving a slight edge on each end – otherwise you’ll have too much in the middle and it’ll be squidging out the edge! 10. Add a line of raspberries and fold over the first edge. Add another line of raspberries and roll again. You may have room for one more line, you may not, it depends on how thick your cream is and how tightly you have rolled it. 11. Once it is rolled, sprinkle icing sugar and decorate with any left over raspberries and a couple of mint leaves if you have them. Omg I'm drooling! Looks so so good!